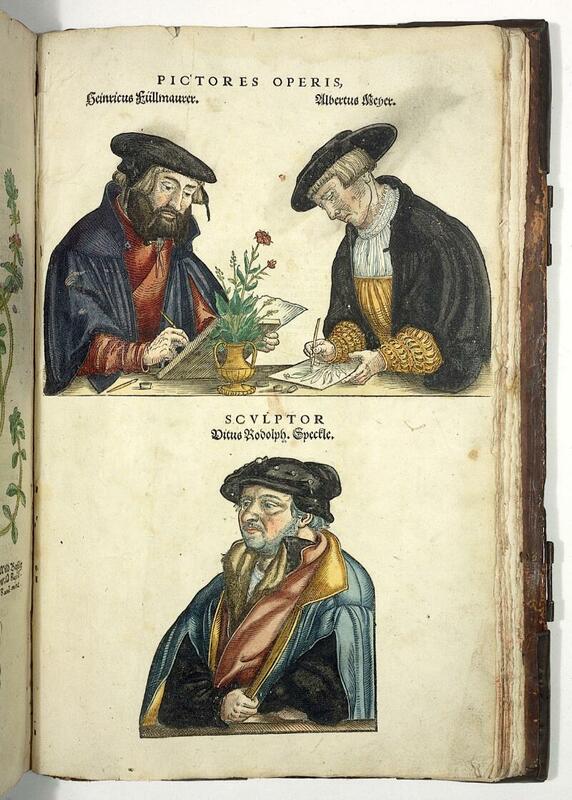 Portraits of the three men responsible for illustrating 'De historia stirpivm commentarii insignes...' by Leonhard Fuchs. This page appears at the back of the book and is subtitled 'Pictores Operis' and 'Scvlptor'. The men are identified as 'Heinrich/ Heinricus F(? )uellmaurer', 'Albertus Neher' and 'Ditus Rodolph Spectle'.